We are a leading Manufacturer of holi gift box, herbal gulal color powder (wooden box) and happy holi gift pack from Raipur, India. 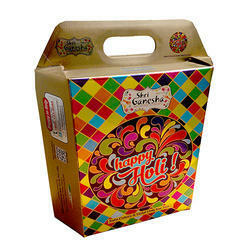 We initiated our business as a versatile organization by providing the best quality Holi Gift Box. 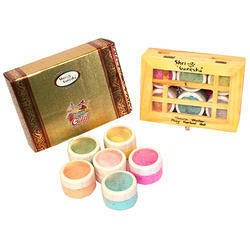 This box is best suited to be gifted to relatives, friends and loved ones on auspicious occasion of Holi. Our highly experienced professionals manufactured this box using the best quality raw materials and the sophisticated methods. Besides this, our clients can purchase this box at pocket friendly prices from us. Ashtagandha Tilak Powder 60 Gram .